Keelon Vann is a junior majoring in Public Relations and minoring in Non-Profit Leadership. A wide receiver on the football team and a member of Jewell’s prestigious Concert Choir, Vann’s talent as musician is beginning to get noticed. Keelon has recently performed at venues in downtown Kansas City and even appeared at an audition for “American Idol”. He identifies as an R&B, Alternative Acoustic, Blues and Jazz artist. The Hilltop Monitor: How did you get into music? Vann: I can’t remember a day in my life without music. It has always been something important in my family and I guess I am sort of carrying on the tradition. My Granddad was a part of a music group so he used to sing around me all the time. I really think that helped me grow the love I have for music that I have today. Even though I have always been exposed to music, I didn’t actually pick up the guitar or lay my fingers on the keys of a piano until my junior year of high school. In that respect I guess I started a little late, but I have been obsessed ever since. The Hilltop Monitor: What does music mean to you? Vann: It is such a big part of my life that I often find myself doing things like obnoxiously singing at football practices and just singing at random times during the day. It is hard for me to not be thinking about music. To me, music is something that soothes the soul. It is less of a hobby for me and more of a way of life. The Hilltop Monitor: What are some things you have been working on lately? 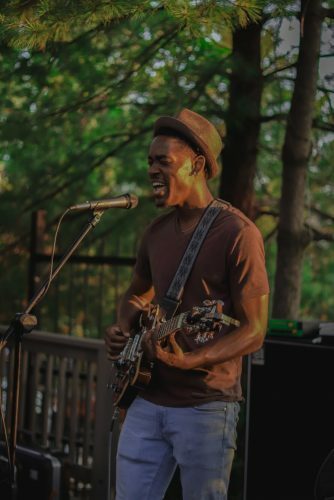 Vann: Recently, I made huge strides in my pursuit of music. This past summer, I was able to tour both England and Scotland with the William Jewell Concert choir. This trip was a tremendous experience for me because it allowed me to perform with the choir and be exposed to an entirely new culture. It really gave me a new sense of perspective and allowed me to reshape my own music by admiring the styles of others. At the moment, my new project is releasing my EP, consisting of a set few original songs that I’ve written recently. I am also still working to teach myself how to play the guitar and the piano. I am very happy with where I am now, but I want to keep on working hard to be as good as I can be. The Hilltop Monitor: What are some of your recent accomplishments? 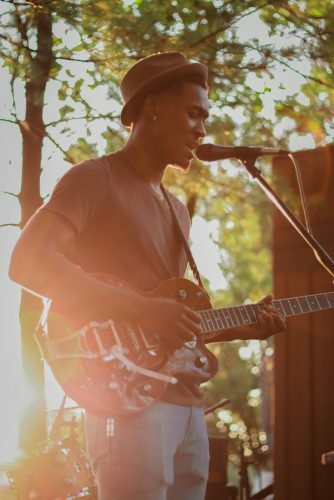 Vann: Not too long ago, I performed live at a venue in downtown Kansas City and also auditioned for “American Idol” early this fall. Although I wasn’t given a ticket to advance to the preliminary audition trials, KMBC 9 News interviewed me while I was in line for the auditions and filmed a little bit of the piece I was going to perform for the judges. According to my mom, Juanita Moten, the station contacted her the day after my audition and asked her for all sorts of videos of me performing throughout my life. Apparently they are interested in doing some sort of story on me soon. The Hilltop Monitor: How do you feel about your recent success? Vann: It is just nice to know that all of the hard work and passion I have put into music is starting to pay off. It really is something special to be able to pursue something I am so passionate about. I have a great opportunity ahead of me and I can’t wait to see what is in store.